Although Alex Edler would struggle during the early point in his one and only season with the Kelowna Rockets, there was one man that knew the defenceman was going to be something special. Bruce Hamilton, one of the most notable names in Canadian junior hockey, the man who holds the titles of owner, president and general manger with the Western Hockey League's Kelowna franchise, wasn't quite sure what to expect when the teenage kid from Sweden suited up for the Rockets in 2005-06. It was Thomas Gradin, a former star for the Vancouver Canucks, who has held various scouting roles with the team since the 1990s, including his current job as Associate Head Scout, who convinced Kelowna brass to give his fellow countryman a shot. Certainly, the raw talent was there for the player the Canucks had selected 91st overall in the 2004 NHL Entry Draft. “Just after Christmas, Alex just started playing his game,” recalled Hamilton, of Edler, who recorded 13 goals and 53 points in 62 games with the Rockets, ranking fifth among WHL defencemen and fourth among rookies in scoring. For Hamilton, there was plenty to like about Edler, not just for what he did on the ice, but in how he handled himself away from the rink. The player who had once been tentative and lacking confidence left Kelowna quite the opposite. Hamilton couldn't be happier for Edler, who still comes back to visit Kelowna, the same person who keeps in contact with the family he stayed with during his time with the Rockets. 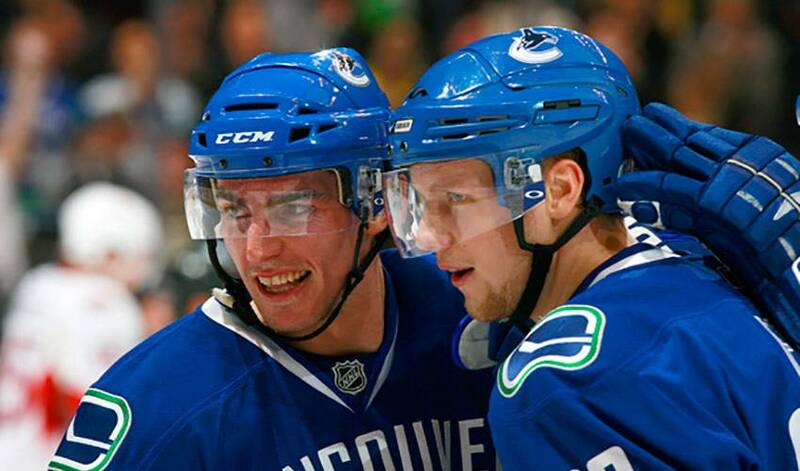 Now, at 25, nearly 400 games into his NHL career, Edler is a key part of the Canucks' lineup. In 2011-12, he's already reached the 10-goal mark for the second time and topped his previous best output (42 points in 2009-10) with just over 10 games left in the campaign. Yet, for all his successes, Edler, who had 11 points in 25 playoff games in 2010-11 as Vancouver made it all the way to Game Seven of the Stanley Cup Finals, remains the same “good person” Hamilton still speaks so glowingly of. “He hasn't forgotten us,” offered Hamilton, of the 2012 NHL All-Star Game participant. It's obvious the Kelowna Rockets haven't forgotten him either.